Etsy or WooCommerce? This is a question that we recently faced with one of our clients. The answer we came up with was Etsy, but getting there wasn’t straightfoward. Using this client as a case study, we’ll walk through how we came up with an e-commerce solution to fit this client’s needs and how you can decide for yourself whether to choose Etsy or WooCommerce. Spirals Designs is a Victoria, B.C.-based company that specializes in creating custom figure skating dresses, dance outfits, and cosplay outfits. They hired Skookum Monkey on an hourly basis to help with SEO, implement a social media strategy, and make some modifications to their existing WordPress theme. In addition to having a WordPress site, Spirals Designs also has an Etsy store. During our monthly revisit of the SEO plan we have in place, Spirals Designs also asked us to beef up their SEO within their Etsy shop. During that conversation, we suggested that the Spirals Designs’ website should also be a place where people can order their existing products, instead of only being a place to order brand new custom designs. After all, you want to have one location that satisfies all of your customers needs. Spirals Designs already had WooCommerce installed, so why not just add the products that exist on Etsy to WooCommerce? After thinking through all the logistics, we decided the best solution for this specific case was to integrate Etsy into their existing website. 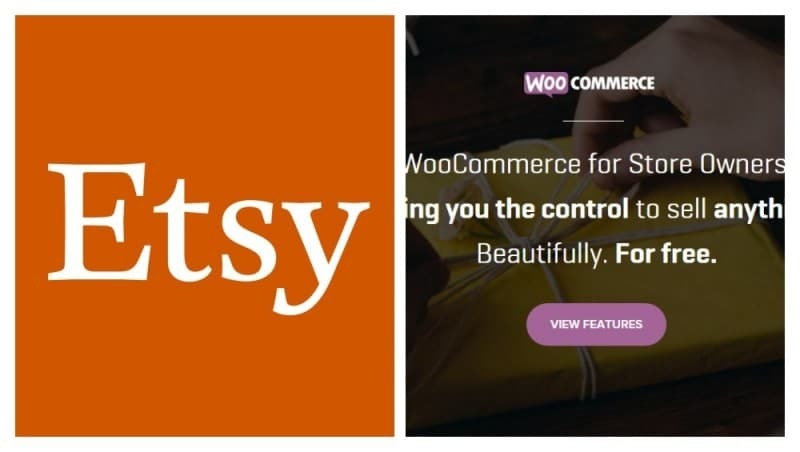 There are three reasons why Etsy won in the Etsy or WooCommerce decision. Spirals Designs already has an Etsy shop. Adding WooCommerce to the existing website would mean managing two different stores. This would create a whole lot of unnecessary extra work. Integrating Etsy into WordPress takes only a few minutes, which saves so much time and money. Go into “Plugins – Add New”. Search “Etsy Shop“. Install and activate the plugin. Application Website: Enter your website’s URL. Will your app do any of the following? Can check more than one: Leave that blank. Select the “I’m not a robot” box. Hit “Read Terms and Create App.” Once you are done with the final step, you’ll be given an API key. Go into “Settings – Etsy Shop”. 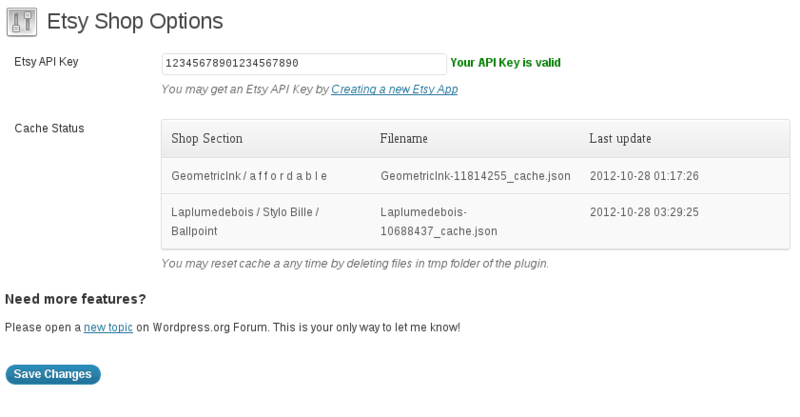 Add the API key to the “Etsy API key” field. Check, “Link to new window.” Save changes. Go to the page that you created in Step 1 and embed the following shortcode, changing the text in italics to reflect your shop’s information: [etsy-shop shop_name=”your-etsy-shop-name” section_id=”your-etsy-shop-setion-id“]. A tutorial on how to find your section ids can be found here. Update the page and add it to your menu and you’re done! Etsy or WooCommerce: How Do You Choose? You need to ask yourself some really simple questions. 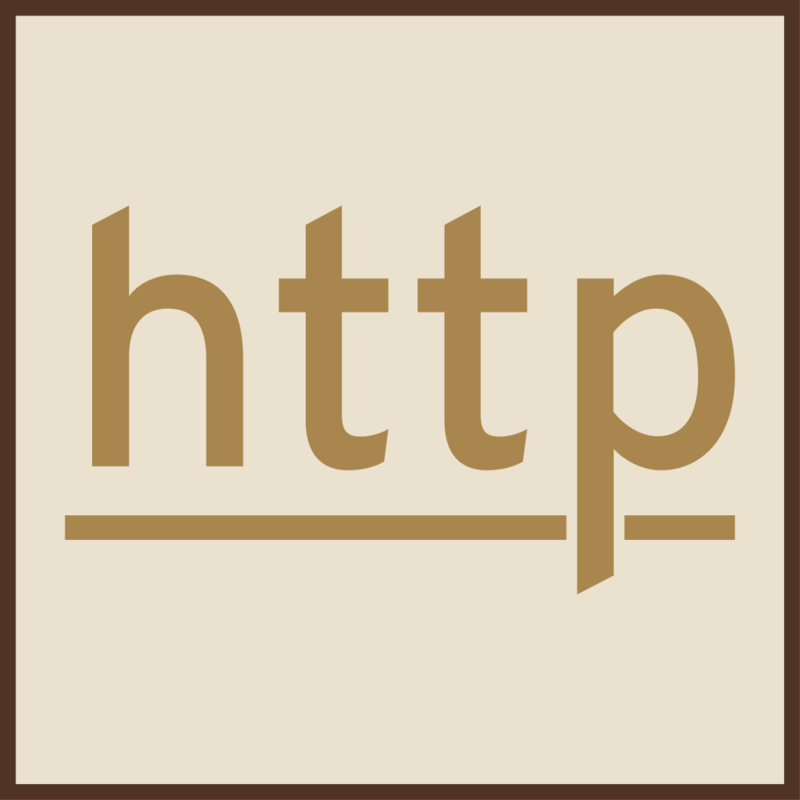 Does your hosting provider offer free dedicated SSL certificates? If they do not and you’re not in a position to pay for one or switch to a host that does, then you want to go with Etsy, no matter what. Also, Etsy already has a bigger reach to attract new customers. Does your hosting provider offer free dedicated SSL certificates but you already have an Etsy shop? 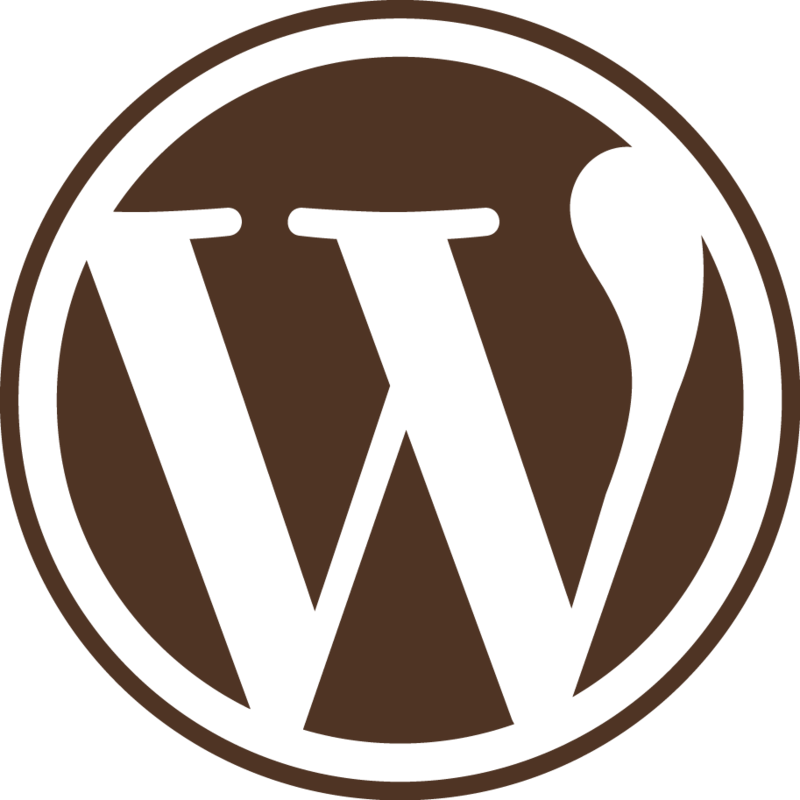 Then stay with your Etsy shop and integrate it into your existing WordPress site. It saves so much time and administration. Does your hosting provider offer free dedicated SSL certificates but you do not have an Etsy shop? Then, in that case, we think WooCommerce is the answer because you don’t need to maintain both an Etsy store and your website. It’s all there in one place. We hope you found this information useful and that it helps you come up with an e-commerce solution that fits your business’ individual needs. Save time integrating Etsy into your website – hire Skookum Monkey to install the Etsy Shop plugin and integrate your existing shop into your WordPress site.